Cherished memories live forever among the swaying pines and slow, wayward hills of Greenhaven Preserve. Virtually untouched by the ages, our 10 acres of serenity are the perfect final resting place for individuals and families committed to a legacy of renewal and the enduring stewardship of nature’s greatest gifts. Tucked aside. Situated on the quiet fringes of rural Eastover in central South Carolina. Equal parts natural, ambling countryside and near-virgin, southern hardwood forest. This unique, thriving ecosystem grows richer with each passing season. 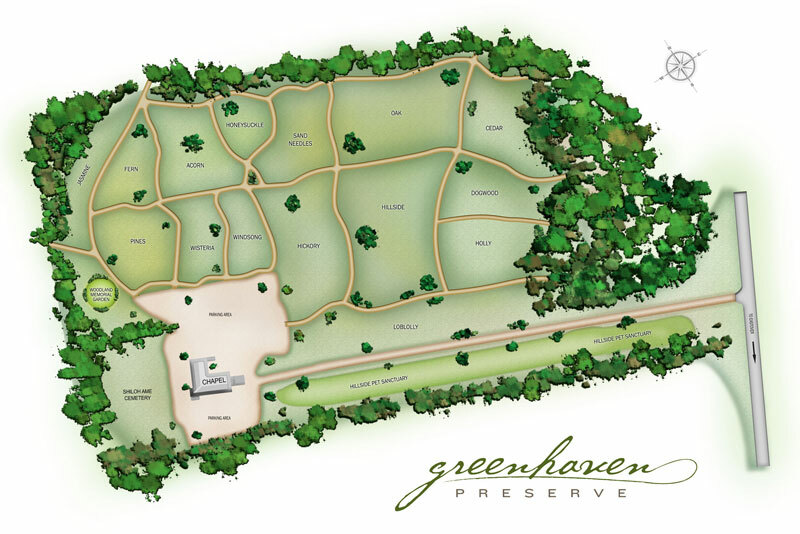 From the breezy heights of its sheltering canopy of trees to the nourishing depths of the earth from which they spring, Greenhaven Preserve is a testament to the beauty of life itself. 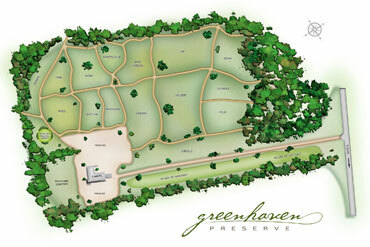 If you are interested in visiting Greenhaven Preserve, get driving directions and view a map of our location. Though perpetual care is left in nature’s loving hands, we take seriously our responsibility as guardians of this sacred land and respectfully tend to its needs. Greenhaven understands the special place that pets have in the family. As society becomes more mobile, and people move around throughout their lifetime, it is important to have a place where you can regularly visit your pet's grave. Pets buried at Greenhaven must also be buried in a biodegradable container. We also accepts pets for burial that have been cremated. Your pet can be buried in our Hillside Pet Sanctuary or, if you have a space for yourself, your pet can also be buried on that space with the family.